Dementia, including Alzheimer's disease, is a national health epidemic that cannot be ignored-particularly in the workplace, where an increasing number of employees are balancing career responsibilities with the challenges of caring for a loved one. A 2006 study by the MetLife Mature Market Institute found that caregiving costs American employers between $17 billion and $34 billion in lost productivity annually, taking a significant toll on both employers and caregiving employees. 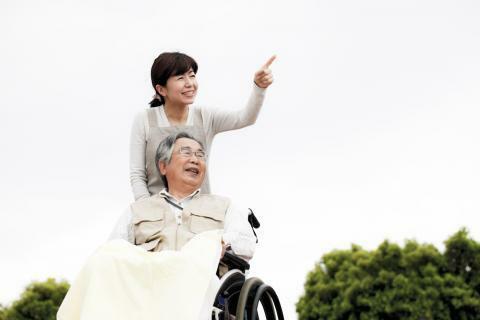 Caregiving creates many life changes for caregivers. Serving as a caregiver can impact a person's physical health, create financial strain, and increase general stress levels, which can lead to depression. 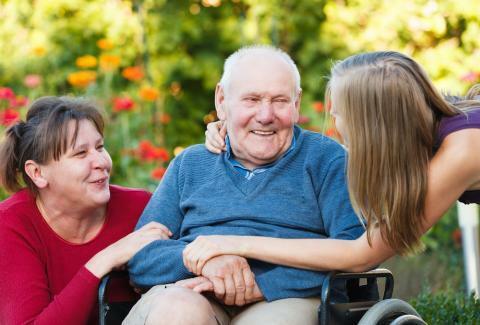 These changes have the potential to affect an employee's job performance, but with the proper workplace support, employed caregivers can successfully manage both their caregiving and workplace responsibilities. This Dementia-Friendly Employers Toolkit is designed to provide employers with the knowledge and tools needed to successfully support employees who are caring for a loved one with dementia. The following information is available for both employers and employees. A sample letter employers can use to provide information and resources to their employees. Click here for a list of Dane County Dementia-Friendly Businesses. The following section includes resources specific to Alzheimer's and other dementias. South Central Wisconsin Chapter, serving Columbia, Dane, Green, Grant, Iowa, Lafayette, Richland, Rock, and Sauk counties. Greater Wisconsin Chapter, serving Chippewa Valley, Fox Valley, Green Bay, La Crosse, Rhinelander, Spooner, Superior, and Wausau. 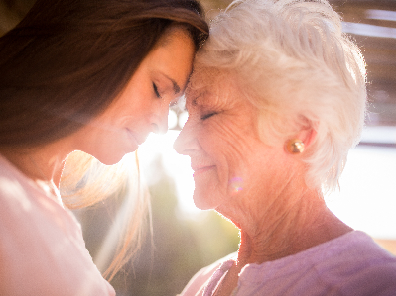 The following section provides general caregiving resources useful to individuals providing care for a family member or friend with dementia as well as others needing care. Aging and Disability Resource Centers: Information about community resources, managing finances, legal and medical issues, the special care needs of people with dementia, and much more. VA Caregiver Support: Features a Caregiver Toolboxand tools for "Building on the Small Moments of Self Care"
Aging and Disability Resource Center of Dane County. The mission of ADRC is to support seniors, adults with disabilities, their families and caregivers by providing useful information, assistance and education on community services and long-term care options and by serving as the single entry point for publicly funded long-term care services while at all times respecting the rights, dignity and preference of the individual. The Department of Health Services (DHS) is one of the largest and most diverse state agencies in Wisconsin, with an annual budget of roughly $11.5 billion and more than 6,100 employees. DHS is committed to protecting and promoting the health and safety of the people of Wisconsin, making sure everyone can live their best life. DHS oversees Medicaid, the single largest program in the state budget, and other health and social service programs. DHS ensures that the care provided to Wisconsin residents is high quality and provided in accordance with state and federal law; ensures that Wisconsin taxpayer dollars are being used effectively and efficiently by preventing and detecting waste, fraud, and abuse; and works to continue Wisconsin's long tradition of strong health outcomes and innovation. DHS works with local counties, health care providers, community partners, and others to provide alcohol and other drug abuse prevention, mental health, public health, implementation of long-term care, disability determination, regulation of state nursing homes, and numerous other programs that aid and protect the citizens of our state. DHS also oversees seven 24/7 institutions: three centers for the developmentally disabled; a facility for mentally ill inmates; two psychiatric hospitals; and a facility for treating sexually violent persons. Take Banconomics on the go. Subscribe to our newsletter.